Thanks to our Ninja Captain Alex and welcome, LG Keltner and CM Brown. Apparently we have gotten so insecure, that Alex needed some help. We are a difficult group to support. I don’t have an insecurity this months so much as a revelation and a warning. I had it in my mind I couldn’t call myself a writer until I had actually written something and in June I wrote my first novel. But, now I am starting to think like a writer, too. Let me explain what I mean. I have been traveling in China for the last two days. Something that isn’t easy to do in the smaller cities if you don’t have at least an elementary grasps of the language, but it is fairly safe. Everyone once in a while, I get this anxiety fueled feeling that at some point I could be kidnapped. That has probably more to do with National Geographic Channel shows like Locked up Abroad. To my credit, I’m not stupid. If you go to an airport with heroine duct taped to your abdomen, you deserve to be locked up abroad. But, I was in a cab this morning heading to the airport and the thought creeped in my mind. And, you know my next thought. Thank God I backed up my current WIP before I left for this trip. Now isn’t that just like a writer to think about her work before her life. My warning: Make sure you back up your work before you leave the house just in case you get kidnapped. When you return, you won’t have to started from the beginning on your chick lit bestseller. Priorities. Have a great month everyone and for those Nano’er out there, just keep writing. 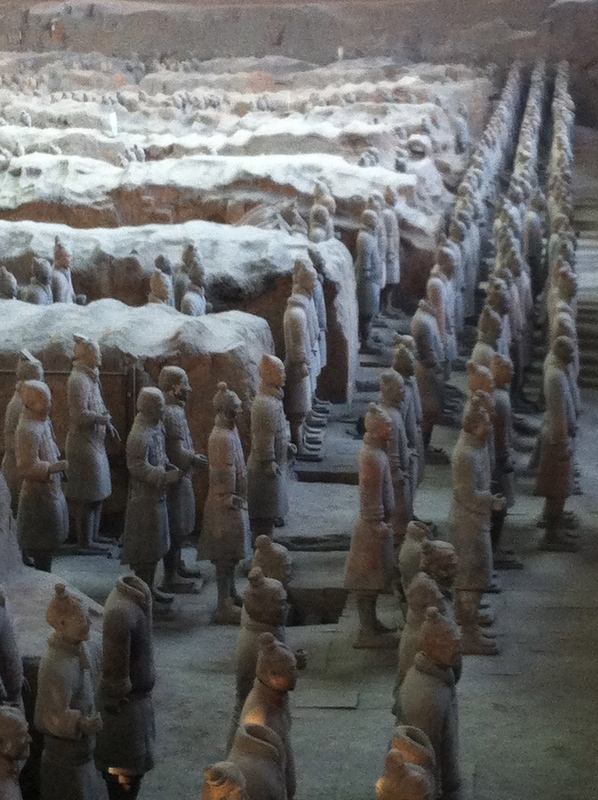 Quick Trip to see the Terra Cotta Warriors – Amazing! I need some writing practice. So, what does anyone do in this day in age when they want more information about an idea. I Googled it and discovered this great site; The Write Practice. I signed up for The Write Practice writing prompts and will share my practice once a week. Feel free to join me on your own blog or in the comments below. Consider a specific setting—a place and time. It could be an indoor or outdoor space; house or building; city or country town; mountains or beach; pleasant weather or stormy; winter or summer; day or night; past, present or future. Write for fifteen minutes about a scene that features this setting. Be sure the setting plays a role by revealing character, contributing to the plot, or creating conflict. Every morning at 7:00 am I enter the pagoda. A sturdy and solid red wood structure with four columns and a steel roof top reinforced with additional wooden beams. I constructed it myself out of the finest materials. “The best that money could buy,” my benefactor said. The red brick steps match the color of the wood beams. I had thought, to keep with tradition, an element of iron should be included in the structure. Plus, it made the place look even more authentic. If that was possible. My benefactor commissioned an iron worker from Mongolia who created a set of intricate iron slats of vines and ancient chinese flowers. The slats are fitted to cover each column, but instead, I decided to attached them flush to the columns. This gave the pagoda a more spiritual feel. The structure is not just covered, it is enclosed. Hanging the bell was the tricky part. With the help of some not so tradition pieces of equipment, I was able to hang it securely. As the legend goes, my benefactor’s ancestors stole the bell from a neighboring village. This theft although never proven, was what instigated several battles between two neighboring villages back in 1322. The bell itself weighted over 500 kgs. Stealing an item of this weight back then would have not been a stealth mission. Which makes me doubt the truth of this tale, but it makes for a great story. I do know that the bell is real. 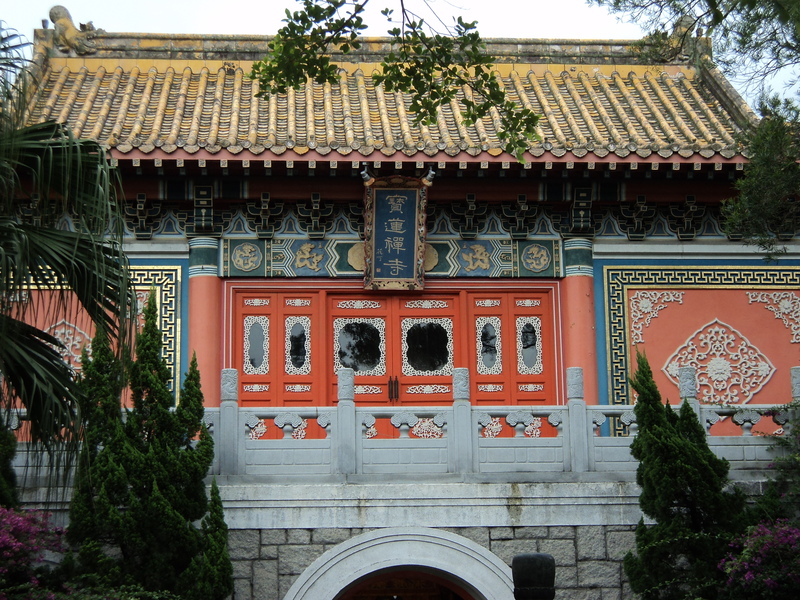 It is made of bronze and the detail of the carvings and characters are in the tradition of the Ming Dynasty. For building this pagoda I alone have the privilege of ringing the bell every morning and every night. It is a responsibility I take very seriously. But, if the people in my village could see me, they would laugh and mock me. You see, my skills as a pagoda builder were passed down by my ancestors. My family has been building bell tower pagoda since the Shang Dynasty. Our bell towers are seen in many sections of the Great Wall, in villages all over China. But, this pagoda despite the construction is not what you call tradition. Despite the care I took to maintain the integrity of my ancestors skills and the traditional means of constructing this pagoda (except for hanging the bell), in the eyes of my family, I have sold our tradition to the highest bidder. 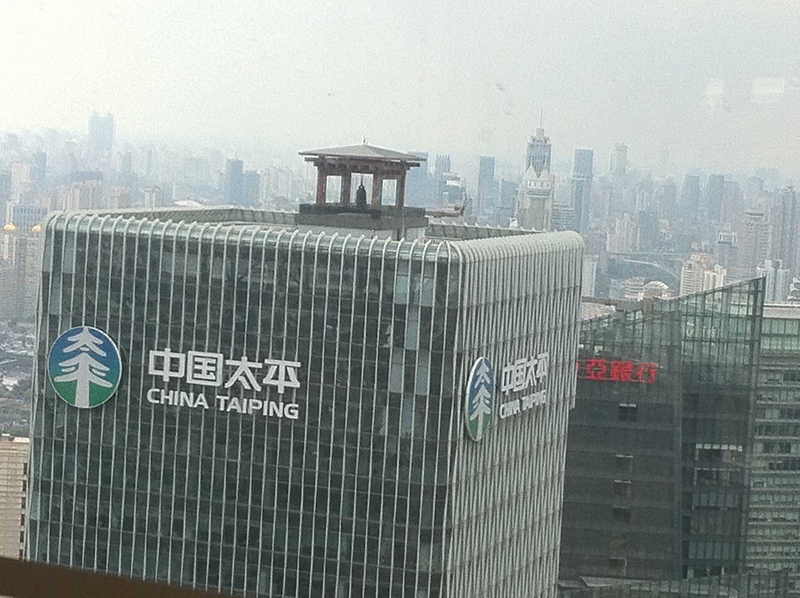 The bell pagoda of my reign sits on top of the 60th floor of the China Taiping Building in downtown Pudong, Shanghai. I told you it was a Blogfest heavy month for me. Today, I am truly excited and regretfully sad to bring you the What’s Your Chocolate? post. Ciara Knight and her fellow host asked a very important questions recently; Do you love chocolate? Why yes, I do. And, thanks for asking. But, I am not a chocolate purest. 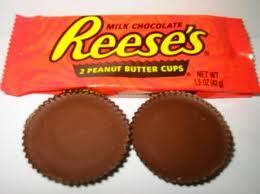 Well, if given a piece of chocolate, I would eat it, but I prefer my chocolate with peanut butter. Be sure to click on the badge to learn more about this blogfest and to visit other chocolate inspired post. 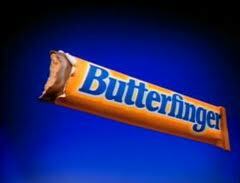 #5 – Butterfinger – The first candy bar I remember eating with my dad many, many, many years ago. I haven’t had one in years until recently. OMG, is it still good. #4 – Reece’s Peanut Butter Cup – It is the classic chocolate peanut butter candy and still a crowd pleaser, but for me I prefer it in the Easter Egg, Christmas tree and the newly discovered Easter bunny shape. Year round, I prefer other forms. #3 – See’s Peanut Butter Patties – a little fancy. A little pricy, but the only chocolate and peanut butter treat I can find in Hong Kong with any consistency. You do what you have to do. 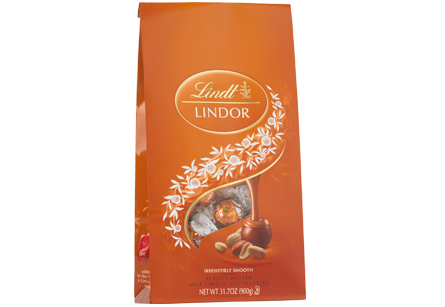 #2 – Lindt’s Lindford Chocolate and Peanut Butter Truffles – These are super rich and super decadent and I discovered them at Barnes & Noble years ago. I would wander up and down the aisle of B&N looking for the perfect book for that day. Next to the check out where these lovely treats. I would only buy one. One is all you need. 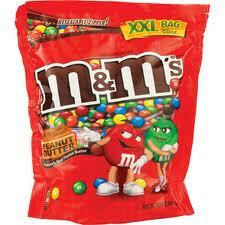 #1 – Peanut Butter M&M’s – When I get off the plane coming back to America, I purchase this bag. On my way to the airport to go back to China, I buy another one of these bags. Take note, this is the XXL size bag. When ever anyone send me a care package they know to send me these. It is just BLISS in bite size chocolate peanut butter pieces. None of these treats are available in China on a consistent basis, therefore I regret I am unable to partake as often as I would like. Oh, the deprivation. There you have it. 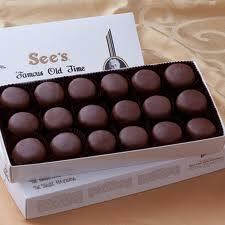 That’s my peanut butter chocolates. My Weekly Update – What the Heck is it? Hint: It’s not a science fair project. 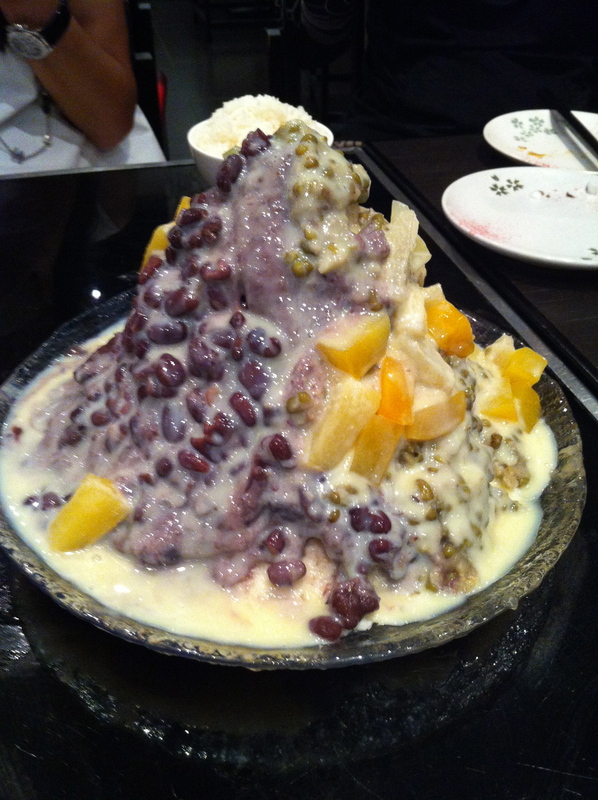 I have lived in China for over 5 years and, I have eaten my share of weird stuff. Coagulated pigs blood, anyone. But, this ‘what ever the heck it is’ was a first for me. So, I decided to use it to spur on a little competition. Can you guess what this is and/or what’s in it? If so, I would be happy to beta read, edit or critique a short story or one chapter of your WIP. I beta read a story for one of my blog friends and really enjoyed it and learned a lot. And, I am testing out my edit and critique chops, so we all win here. I will keep this contest open for a week. And, if no one can guess what it is, I will take the most creative answer. Have fun. Ava Jae wrote a great post on How to Read Your Writing Objectively. Great read for me as I will tackle the art of editing my first novel in September. Jeff Goins posted My Morning Routine in 10 Simple Steps this week. My biggest struggle is getting going in the morning. I need a routine. The post includes several links to other writer’s morning routines. The one thing they all have in common, waking up early. Why can’t a morning routine start at 11:00 am? It’s still morning. A general shout out to Wise, Ink. An indie Author’s Best Kept Secret ( I hope it is ok to tell). They are a great resource for any and all things writerly and recently posted two articles to help us Authorpreneurs. Next Weeks Schedule – I seemed to have moved Friday post to early Saturday morning. Maybe the universe is trying to tell me something. Sunday – My Weekly Update – Look at goals for September and I need to have put a dent into my Campnano WiP or I am toast.